Whether it’s to showcase their athletic prowess, serve the wider community, or improve their own, DePaul students have always found time for a life beyond the classroom. 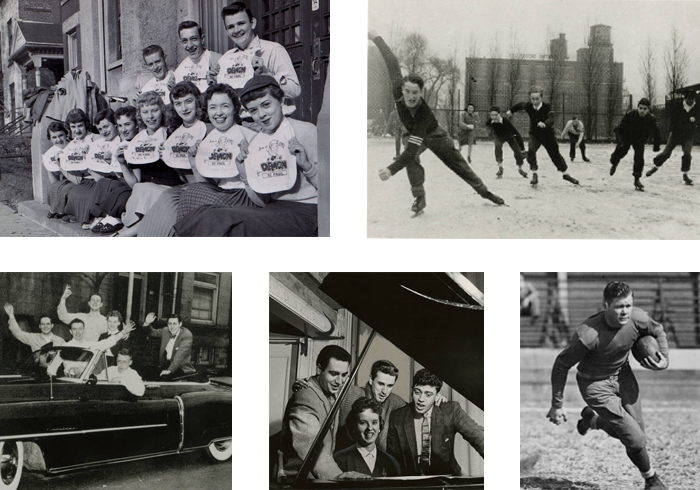 This assortment of photographs of DePaul University life dates from the early 1900s through the 1990s. Professional photographs of University ceremonies, milestones, athletic events and student groups are featured as well as informal snapshots of community service projects, students and social activities. Original photographs are held in DePaul’s Special Collections and Archives Department.